Damaging tangles of the protein tau dot the brains of people with neurodegenerative diseases like Alzheimer’s and boxer’s dementia, and lead to memory loss, confusion and, in some, aggressive behavior. But there is no easy way to determine whether people’s symptoms are linked to tau tangles in their brains. Now, a team led by scientists at Washington University School of Medicine in St. Louis has found a way to measure tau levels in the blood. The method accurately reflects levels of tau in the brain that are of interest to scientists because they correlate with neurological damage. The study, in mice and a small group of people, could be the first step towards a non-invasive test for tau. Newswise, May 20, 2017 — Damaging tangles of the protein tau dot the brains of people with Alzheimer’s and many other neurodegenerative diseases, including chronic traumatic encephalopathy, which plagues professional boxers and football players. 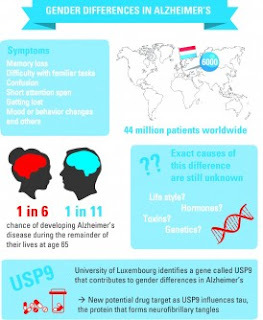 Such tau-based diseases can lead to memory loss, confusion and, in some, aggressive behavior. But there is no easy way to determine whether people’s symptoms are linked to tau tangles in their brains. Now, however, a team led by scientists at Washington University School of Medicine in St. Louis has found a way to measure tau levels in the blood. The method accurately reflects levels of tau in the brain that are of interest to scientists because they correlate with neurological damage. The study, in mice and a small group of people, could be the first step toward a noninvasive test for tau. “We showed that you can measure tau in the blood, and it provides insight into the status of tau in the fluid surrounding cells in brain,” said senior author David Holtzman, MD, the Andrew B. and Gretchen P. Jones Professor and head of the Department of Neurology at Washington University School of Medicine in St. Louis. “We have no test that accurately reflects the status of tau in the brain that is quick and easy for patients,” Holtzman said. “There are brain scans to measure tau tangles, but they are not approved for use with patients yet. Holtzman, postdoctoral researcher Kiran Yanamandra, PhD, and MD/PhD student Tirth Patel, along with colleagues from C2N Diagnostics, AbbVie, the University of California, San Francisco, and Texas Health Presbyterian Hospital, reasoned that if they could keep tau in the blood longer, the protein would accumulate to measurable levels. Allowing the protein to accumulate before measuring its levels would magnify – but not distort – differences between individuals, in the same way that enlarging a picture of a grain of sand alongside a grain of rice does not change the relative size of the two, but does make it easier to measure the difference between them. The researchers injected a known amount of tau protein directly into the veins of mice and monitored how quickly the protein disappeared from the blood. The researchers showed that half the protein normally disappears in less than nine minutes. When they added an antibody that binds to tau, the half-life of tau was extended to 24 hours. The antibody was developed in the laboratories of Holtzman and Marc Diamond, MD, of the University of Texas Southwestern Medical Center, and is currently licensed to C2N Diagnostics, which is collaborating with the pharmaceutical company AbbVie in developing the technology. To determine whether the antibody could amplify tau levels in an animal’s blood high enough to be measured easily, they injected the antibody into mice. Within two days, tau levels in the mice’s blood went up into the easily detectable range. The antibody acted like a magnifying glass, amplifying tau levels so that differences between individuals could be seen more easily. To lower tau levels, the researchers turned to genetically modified mice that, as they age, have less and less tau floating in their cerebrospinal fluid. Such mice at 9 months old had significantly lower tau levels in their blood than 3-month-old mice with the same genetic modification, again demonstrating the antibody’s ability to reflect levels of tau in the brain. May 20, 2017— Melanoma is the deadliest form of skin cancer and is characterized by the uncontrolled growth of pigment-producing cells. Melanoma may appear on the skin suddenly without warning but also can develop from an existing mole. Sun exposure is the most preventable risk factor for all skin cancers, including melanoma. 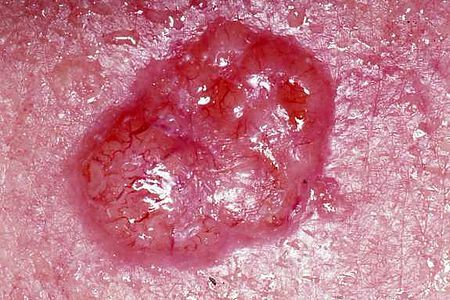 Melanoma and other skin cancers are highly treatable, if detected early. Current estimates are that 1 in 5 Americans will develop skin cancer during their lifetime. Melanoma is the most common form of cancer for young adults age 25-29 and is the second most common form of cancer for adolescents and young adults age 15-29. Melanoma is increasing faster in females 15-29 years old than males in the same age group. In females 15-29 years old, the torso is the most common location for developing melanoma, which may be due to high-risk tanning behaviors. You have a substantially increased risk of developing melanoma if you have many moles, large moles or atypical (unusual) moles. Your risk is increased if a blood relative (e.g., your parents, children, siblings, cousins, aunts, uncles) has had melanoma. If you are a Caucasian with fair skin, your risk is higher than a Caucasian with olive skin. Redheads and blonds have a higher risk of developing melanoma. Blue or green eyes also increase your risk. Your chances increase significantly if you’ve already had a previous melanoma or if you have had basal cell carcinoma or squamous cell carcinoma, the more common forms of skin cancer. What are Pennsylvania Dermatologists and Physicians doing about it? The Pennsylvania Academy of Dermatology and Dermatologic Surgery (PAD) in conjunction with the Pennsylvania Medical Society (PAMED) strongly support skin cancer awareness and encourage all Pennsylvanians to be screened. PAD dermatologists will offer free skin cancer screenings and instruction on self-skin examinations on Wednesday, May 10th in the Capitol Rotunda at the Harrisburg Capitol. The PAD and PAMED are particularly focused on sun protection for children and youth. This includes increasing access to sunscreen and sun protective clothing in schools as well as educating teenagers about the dangers of indoor tanning and that Pennsylvania law bans minors under 17 years of age from using tanning salons. The Pennsylvania Academy of Dermatology and Dermatologic Surgery is the only statewide medical organization solely representing the interests and concerns of all dermatologists and their patients in Pennsylvania. Visit us at www.padermatology.org. Newswise, May 20, 2017— A midday jolt of caffeine isn't as powerful as walking up and down some stairs, according to new research from the University of Georgia. In a new study published in the journal Physiology and Behavior, researchers in the UGA College of Education found that 10 minutes of walking up and down stairs at a regular pace was more likely to make participants feel energized than ingesting 50 milligrams of caffeine-about the equivalent to the amount in a can of soda. "We found, in both the caffeine and the placebo conditions, that there was not much change in how they felt," said Patrick J. O'Connor, a professor in the department of kinesiology who co-authored the study with former graduate student Derek Randolph. "But with exercise they did feel more energetic and vigorous. It was a temporary feeling, felt immediately after the exercise, but with the 50 milligrams of caffeine, we didn't get as big an effect." The study aimed to simulate the hurdles faced in a typical office setting, where workers spend hours sitting and staring at computer screens and don't have time for a longer bout of exercise during the day. For the study, participants on separate days either ingested capsules containing caffeine or a placebo, or spent 10 minutes walking up and down stairs-about 30 floors total-at a low-intensity pace. O'Connor wanted to compare an exercise that could be achieved by people in an office setting, where they have access to stairs and a little time to be active, but not enough time to change into workout gear, shower and change back into work clothes. "Office workers can go outside and walk, but weather can be less than ideal. It has never rained on me while walking the stairs," said O'Connor. "And a lot of people working in office buildings have access to stairs, so it's an option to keep some fitness while taking a short break from work." Study participants were female college students who described themselves as chronically sleep deprived-getting less than 6½ hours per night. To test the effects of caffeine versus the exercise, each group took some verbal and computer-based tests to gauge how they felt and how well they performed certain cognitive tasks. Neither caffeine nor exercise caused large improvements in attention or memory, but stair walking was associated with a small increase in motivation for work. 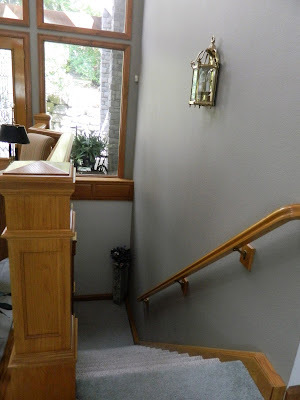 O'Connor added that there is still much research to be done on the specific benefits of exercising on the stairs, especially for just 10 minutes. But even a brief bout of stair walking can enhance feelings of energy without reducing cognitive function. "You may not have time to go for a swim, but you might have 10 minutes to walk up and down the stairs." Newswise, May 20, 2017— The toxic protein behind Parkinson’s disease may not spread like an infection from nerve cell to nerve, according to a new theory by Technion and Harvard University scientists. Instead, the protein, called alpha-synuclein, may simultaneously affect all parts of the nervous system inside and outside of the brain. Their findings could change how Parkinson’s is treated, the researchers say. Associate Professor Simone Engelender of the Technion-Israel Institute of Technology and her colleague Ole Isacson at Harvard Medical School describe this “threshold theory” of Parkinson’s for the first time in a report published in the January issue of Trends in Neuroscience. 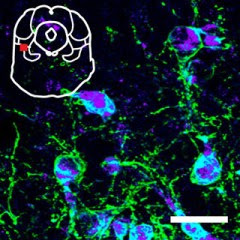 “Instead of studying how proteins move from one neuron to another and searching for compounds that prevent the ‘spread’ of aggregated α-synuclein, we need to study why α-synuclein accumulates within neurons and how these neurons die in the disease, and search for compounds that prevent the general neuronal dysfunction,” said Professor Engelender. Parkinson’s disease destroys nerve cells throughout the body, especially key neurons in the brain that produce a compound called dopamine that helps to control movement and posture. The disease grows worse over time, and there is no known cure. More than one million people in the United States have the disorder, according to the Parkinson’s Disease Foundation. The disease is caused by accumulation of α-synuclein, which overwhelms and destroys nerve cells. The most commonly-held theory about the disease suggests that patients get progressively worse as clumps of α-synuclein spread between neurons, almost like an infection. But Engelender and Isacson think the scientific evidence points to a different model of the disease. Instead of spreading from neuron to neuron, they say, aggregations of α-synuclein develop throughout the body at the same time. Different parts of the nervous system vary in how much of this toxic protein they can tolerate, depending on how well the cells in that part of the system work together to compensate for any destroyed cells. The researchers say their theory fits better with patients’ symptoms than the infection-style theory. Engelender and Isacson’s theory may help explain, for example, why some of the earliest signs of the disease appear in places like the gastrointestinal tract that have no neurons to compensate for a dysfunction and therefore have a lower threshold of tolerance for α-synuclein toxicity. The new theory may also affect how the disease is treated. For instance, some scientists have recommended a procedure that severs part of the vagus nerve, which runs outside the brain, to prevent the spread of α-synuclein from the body to the brain. The threshold theory, Engelender said, suggests that this operation would be unnecessary. “The only specific treatment that is and will continue to be beneficial is the replenishment of dopamine in the brain, through the intake of the supplement L-Dopa, to improve the motor symptoms,” said Engelender. “Nevertheless, I believe that the search for compounds that specifically decrease α-synuclein levels are the only hope to provide a real and more effective treatment for the disease,” Engelender added. The Technion-Israel Institute of Technology is a major source of the innovation and brainpower that drives the Israeli economy, and a key to Israel’s renown as the world’s “Start-Up Nation.” Its three Nobel Prize winners exemplify academic excellence. Technion people, ideas and inventions make immeasurable contributions to the world including life-saving medicine, sustainable energy, computer science, water conservation and nanotechnology. The Joan and Irwin Jacobs Technion-Cornell Institute is a vital component of Cornell Tech, and a model for graduate applied science education that is expected to transform New York City’s economy. American Technion Society (ATS) donors provide critical support for the Technion—more than $2 billion since its inception in 1940. Based in New York City, the ATS and its network of supporters across the U.S. provide funds for scholarships, fellowships, faculty recruitment and chairs, research, buildings, laboratories, classrooms and dormitories, and more. Regardless of sociodemographic factors, workers who lack paid sick leave were significantly less likely to have received preventive health care screenings in the last 12 months, even among those previously told that they have a condition such as diabetes or cardiovascular disease that places them at higher medical risk. Newswise, May 18, 2017 — More than 20 million Americans have gained health insurance coverage through the Affordable Care Act (ACA) and do not have to pay for 15 preventive screenings recommended by the U.S. Preventive Services Task Force. Yet, despite this advantage, many are not utilizing these lifesaving screenings and are contributing to this nation’s soaring health care costs, which reached a whopping $3 trillion in 2014. 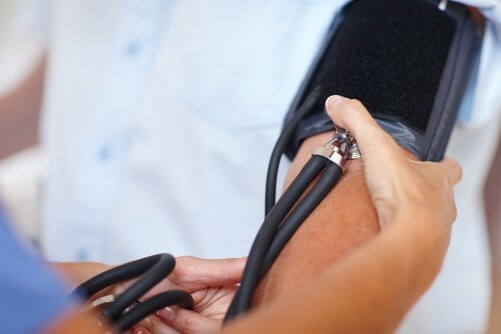 Researchers from Florida Atlantic University and Cleveland State University are the first to use data after the implementation of the ACA to get to the root of what factors are contributing to the low rates of preventive care use in this country. Results of their study, published in the current issue of the journal Preventive Medicine, illuminate the importance of the role paid sick leave benefits plays in the lives of employees and ultimately in public health. “Compared to 22 similarly developed countries, the United States is the only one that does not mandate employers to provide paid sick leave benefits or include paid sick leave in a universal social insurance plan,” said LeaAnne DeRigne, Ph.D., lead author and an associate professor in the School of Social Work within FAU’s College for Design and Social Inquiry. For the study, DeRigne and collaborators used cross-sectional data from a sample of 13,545 adults aged 18-64 with current paid employment from the 2015 National Health Interview Survey (NHIS). They examined the relationship between having paid sick leave and obtaining eight preventive care services: blood pressure check; cholesterol check; fasting blood sugar check; getting a flu shot; being seen by a medical doctor or health care provider; getting a Pap test (females only); getting a mammogram (females only); and getting tested for colon cancer. The analysis controlled for demographic and other important predictor variables including gender, marital status, education, race/ethnicity, full time work, insurance coverage, health status, limiting health conditions, family income, age, and family size. Regardless of sociodemographic factors, the researchers found that workers who lack paid sick leave were significantly less likely to have received preventive health care screenings in the last 12 months, even among those previously told that they have a condition such as diabetes or cardiovascular disease that places them at higher medical risk. They also found that workers without paid sick leave are 1.6 times less likely to have received a flu shot in the past 12 months. Paid sick leave was not, however, a significant factor in having undergone two cancer-related screenings in the last 12 months: testing for colon cancer or a mammogram. The researchers speculate that because mammography services are more widely available to workers because of mobile screening units and other innovative services, getting a mammogram might not require paid sick leave. They note that because colon cancer screenings are recommended every 10 years, respondents may not have had the test within the past 12 months when they answered that question. “Our findings demonstrate that even when insured adults are provided with free preventive screenings, paid sick leave is a significant factor associated with actually using the screenings,” said DeRigne. The two most common ways to offer paid sick leave is by mandating employer-funded benefits or through a universal social insurance program funded through taxes. The Healthy Families Act, introduced in Congress in 2015, uses the employer-funded model and would allow workers to earn up to seven days of paid sick leave if their employer has more than 15 employees and seven unpaid days for employers who have less than 15 employees. The bill has not yet been introduced in the current Congressional session. “Our data can be used by health care professionals, policy makers and others to consider the expansion of access to evening and weekend hours as well as mobile, community-based, and workplace health and wellness services,” said Patricia Stoddard-Dare, Ph.D., co-author and an associate professor of social work at Cleveland State. The article also was co-authored by Cyleste C. Collins, Ph.D., assistant professor at Cleveland State University, and Linda Quinn, Ph.D., college associate lecturer in the Department of Mathematics at Cleveland State University. Newswise, May 18, 2017— The probability that people suffering from depression will complete treatment can be increased significantly by asking them three questions before beginning therapy, according to a new study undertaken at the University of Haifa. “Asking these three questions will save a lot of time in identifying the most appropriate treatment for the patient. The answers will help solve a dilemma that many patients face in choosing the best type of treatment,” explains Prof. Sigal Zilcha-Mano, who undertook the study. One in five patients with depression drops out of treatment before it is completed, and most of these patients return to their pre-treatment condition. Prof. Zilcha-Mano notes that many people suffering from depression find it difficult to decide to seek treatment. When they do make this decision, it is based on a recommendation from a friend or a name they happen to encounter, without examining whether the form of treatment is necessary suitable for them. 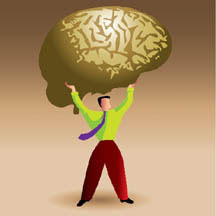 The present study was undertaken by Prof. Zilcha-Mano in cooperation with the research student Avinadav Rubin from the Department of Psychology at the University of Haifa and a team of researchers from the Department of Psychology at the University of Pennsylvania and Adelphi University in New York. In light of the high proportion of patients who ultimately drop out of treatment, the researchers sought to examine whether any traits or characteristics that can be identified prior to treatment can predict the type of treatment that will minimize dropout. To this end, 156 patients diagnosed as suffering from clinical depression were divided into three treatment groups on a random basis. The first group (51 patients) underwent psychotherapy; the second group (55 patients) received 50-200 mg of an SSRI-type antidepressant; and the third group (50 patients) were given a placebo. Before beginning treatment, all the participants were asked various questions about different characteristics, some related to the treatment and others unrelated. Many of the characteristics were found to have no predictive significance, including the patient’s gender, whether they avoid intimate relationships, their education, and their expectations regarding the success of treatment, the study identified three questions that can predict which treatment will be most effective: the patient’s expectations regarding the relationship with the therapist (“alliance expectations,”) their level of vindictiveness, and their age. The findings showed that the more an individual expects a positive relationship with the therapist, the greater their chances of completely psychotherapy and the lower their chances of completing medication. It was also found that people who show a high level of vindictiveness in their interpersonal relationships are at higher risk of dropping out from medication. Lastly, it was found that people over the age of 45 have a higher chance of completing medication, whereas those below that age have a better chance of completing treatment if they opt for psychotherapy. For the researchers, the ramifications are clear: before beginning treatment, therapists should ask the patient to state their age, their level of vindictiveness (in an appropriate professional way, of course), and above all – their expectations on the personal level regarding the therapist. Accordingly to the answers, the therapist can determine whether the patient should undergo psychotherapy or be referred to a psychiatrist who can prescribe medication. “Within the hopelessness that forms a key part of depression, people try to find the strength to turn to treatment,” Prof. Zilcha-Mano commented. “When they manage to do so, they sometimes find themselves in therapy that isn’t suitable for them, and accordingly they soon drop out, thereby become even more pessimistic about the chances of overcoming depression. WASHINGTON, May 18, 2017 - Matt Wixon is not the typical colon cancer patient. He has none of the risk factors sometimes associated with the cancer — he is active and fit, eats healthy and smoked only for a very short time. But, most unusual of all, Wixon is young — he was 39 when he was diagnosed with stage 4 colon cancer last December. However, Wixon and patients like him are the new faces of colon cancer. A study published February 28 in the Journal of the National Cancer Institute found that colorectal cancer rates are rising in people under age 50, who will make up one in ten of the 135,500 new cases of colorectal cancer expected to be diagnosed in 2017. That means that people born in 1990 have double the risk of colon cancer and quadruple the risk of rectal cancer compared to people born in 1950. Of the 1,000 GI cancer patients seen at his clinic last year, nearly half were under age 50, says John L. Marshall, MD, director of the Ruesch Center for the Cure of Gastrointestinal Cancers at Georgetown Lombardi Comprehensive Cancer Center and chief of hematology and oncology at MedStar Georgetown University Hospital. Many are in their 20s and 30s; one was just 17. That was certainly true for Wixon, a patient at the Ruesch Center, who owns a moving company. When he received his news, he and his wife were anticipating the birth of their first child. Wixon had noticed some changes in his bowel habits, but they weren’t severe and hadn’t been going on for long. Still, when he met with his gastroenterologist, who suggested he might have hemorrhoids, Wixon insisted on a colonoscopy. Knowing that the test would not be covered by insurance, he was concerned enough that he was ready to pay for the test out of pocket. Wixon tries to find the silver lining in the cloud hanging over his head. He knows his youth is a benefit and sometimes he finds it hard to believe he is as sick as he is. He is active on “Colontown,” a Facebook group that Marshall told him about, where he has found “hope and solace.” He is planning for the day when he is healthy enough to have surgery that can remove the tumors that have metastasized in his liver. But he suspects one player may be an altered microbiome, the galaxy of symbiotic bacteria that live in the human gut to aid digestion. “There is a beautiful coral reef of bacteria in the colon, but the reef may be dying or altered in some people due to modern habits — too much use of antibiotics and antibacterial hand wash, for example, that could reduce the known effectiveness of bacteria in protecting against cancer,” he says. But Marshall is the first to say there are many theories. Mohamed Salem, MD, a gastrointestinal oncologist and researcher at Georgetown Lombardi, is among a team of investigators studying the foundations of young onset colon cancer. He is exploring whether colon cancer in these patients is more aggressive, and, if so, why, and where it occurs, whether on the left side or right, which matters in terms of outcome and drug treatment. Then there is the question of diagnosis. No one imagines giving every person younger than 50 a colonoscopy, Marshall says. And for those with some symptoms, there are less invasive and cheaper screening tools than a colonoscopy. But it is important that frontline health care providers, such as primary care doctors, know about the real risk of colon cancer in young people, and “that they take it seriously,” he says. Newswise, May 4, 2017— Flying a stroke specialist by helicopter to a nearby stroke patient for emergency care is feasible, saves money and, most importantly, gets critical care to patients faster than transporting the patient to a hospital first, according to a single-patient, proof-of-concept study by a Johns Hopkins Medicine research team. Although the study was not designed to show whether “helistroke service” would improve outcomes for patients, previous research has amply demonstrated that stroke victims do best when they are treated as quickly as possible — ideally in 100 minutes or less. 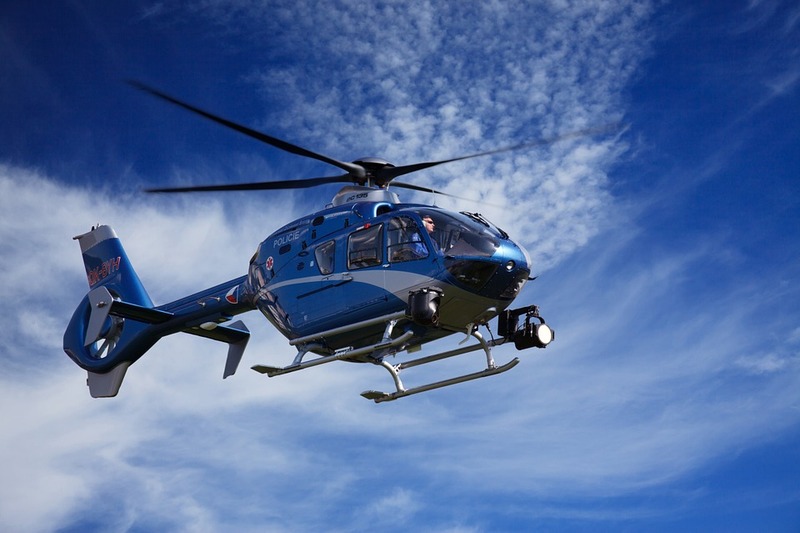 A report of the findings, published in the Journal of Neurointerventional Surgery on May 3, details what is believed to be the first test of transporting a physician by helicopter to perform a standard intervention for a stroke. “With the development of effective treatments, the most limiting factor to treating acute stroke is infrastructure — we have to keep evolving our systems to get therapy to as many appropriate patients as possible,” says Ferdinand K. Hui, M.D., associate professor of radiology and radiological science at the Johns Hopkins University School of Medicine. Hui, the report’s first author, is the physician who was transported via helicopter for the study. In the traditional model of care, people experiencing an acute ischemic stroke (a cutoff of blood supply in a blood vessel to the brain) are taken to a hospital with a specialized center capable of performing a minimally invasive therapy in which a physician inserts a catheter into the groin and threads it up through blood vessels to the blood clot in the brain causing the stroke. Once the catheter is in place, the physician delivers drugs that break up the clot. Patient transport time, however, can be significant and, in many cases, stroke victims are first taken to a nearby community hospital, then transported to the specialized center, often further delaying time to treatment and lowering the odds of recovery or reduced disability. In a recent study analyzing the results of a global, multicenter trial, data show a 91 percent probability of favorable stroke outcome if patients’ blood flow was restored within 150 minutes of stroke. The next 60 minutes of delay, researchers found, resulted in a 10 percent reduction of good outcome. An additional 60 minutes resulted in an additional 20 percent reduction of good outcome. For the best chance of a favorable outcome, preintervention time was calculated to be less than 100 minutes. To test the feasibility of a physician-to-patient model that could potentially improve outcomes for a time-sensitive procedure, investigators designed a study to fly Hui by Johns Hopkins Lifeline from Baltimore to a National Institutes of Health Stroke Center at Suburban Hospital in Washington, D.C. —39.4 miles away — to treat a stroke victim. Suburban, part of the Johns Hopkins Health System, has radiologists and the necessary equipment to image blood vessels but no neurointerventional experts on hand to provide immediate, catheter-based treatment. A patient was eligible for treatment in the pilot study if he or she had a large vessel blockage and a National Institutes of Health Stroke Scale rating greater than eight, which is considered a severe stroke. The stroke scale is a 15-item neurologic examination used to evaluate the potential damage of stroke as soon as possible after it occurs. In January 2017, such a patient was identified at Suburban at 11:12 a.m. Scans to view the patient’s blood vessels and brain tissue were initiated at 11:46 a.m. and completed at 11:58 a.m.
Hui, who was at The Johns Hopkins Hospital in Baltimore, was alerted at 12:07 p.m. Johns Hopkins Lifeline, which provides critical care transportation, was called at 12:13 p.m. Weather clearance for helicopter takeoff was obtained at 12:24 p.m., and the helicopter flight from The Johns Hopkins Hospital to Suburban Hospital took 19 minutes. Hui inserted the catheter into the patient at 1:07 p.m. and completed treatment at 1:41 p.m. Total time between decision-to-treat and groin puncture was 43 minutes, and between decision-to-treat and groin closure was 77 minutes. These times are comparable with time to treatment in one institution without transfer. The patient received tissue Plasminogen Activator, a clot-dissolving drug, and improved clinically. Hui says the helistroke service model not only has the potential to reduce transport time and improve patient outcomes, but also could expand ideal standards of care to rural and other populations, where specialized care is limited. “Up until now, the model has been that the ‘right place’ was a central location, like a tertiary facility such as The Johns Hopkins Hospital,” says Jim Scheulen, M.B.A., chief administrative officer of emergency medicine at The Johns Hopkins Hospital. Hui cautions that the helistroke service is not always the right or best choice: weather restrictions, specialist availability and transportation costs limit the use of the model. But flying a specialist to a patient may also eliminate some costs of nursing care, monitoring equipment, and the costs of ambulance services to one or more hospitals, as well as potentially fewer days of hospitalization and rehabilitation for stroke patients, he says. Other authors on this paper include Amgad El Mekabaty, Kelvin Hong, Karen Horton, Victor Urrutia and Shawn Brast of Johns Hopkins Medicine; Jacky Schultz of Suburban Hospital; and Imama Naqvi, John K. Lynch and Zurab Nadareishvili of the National Institutes of Health. Newswise, May 3, 2017—New research further illuminates the surprising relationship between blood sugar and brain tumors and could begin to shed light on how certain cancers develop. While many cancers are more common among those with diabetes, cancerous brain tumors called gliomas are less common among those with elevated blood sugar and diabetes, a study from The Ohio State University has found. The discovery builds on previous Ohio State research showing that high blood sugar appears to reduce a person’s risk of a noncancerous brain tumor called meningioma. Both studies were led by Judith Schwartzbaum, an associate professor of epidemiology and a researcher in Ohio State’s Comprehensive Cancer Center. The new glioma study appears in the journal Scientific Reports. “Diabetes and elevated blood sugar increase the risk of cancer at several sites including the colon, breast and bladder. But in this case, these rare malignant brain tumors are more common among people who have normal levels of blood glucose than those with high blood sugar or diabetes,” Schwartzbaum said. “Our research raises questions that, when answered, will lead to a better understanding of the mechanisms involved in glioma development,” she said. Glioma is one of the most common types of cancerous tumors originating in the brain. It begins in the cells that surround nerve cells and help them function. The disease is typically diagnosed in middle age. At present, there is no treatment that ensures long-term survival, but several potential options are being studied. The Scientific Reports paper included data from two large long-term studies. One, called AMORIS, included 528,580 Swedes. The second, Me-Can, consisted of 269,365 Austrians and Swedes. In all, 812 participants developed gliomas. Schwartzbaum and her collaborators evaluated blood sugar and diabetes data and its relationship to subsequent development of brain cancer and found that those with elevated blood sugar and diabetes had a lower risk of developing glioma. “This really prompts the question, ‘Why is the association between blood glucose levels and brain cancer the opposite of that for several other cancerous tumors?” she said. The researchers found that this relationship was strongest within a year of cancer diagnosis. “This may suggest that the tumor itself affects blood glucose levels or that elevated blood sugar or diabetes may paradoxically be associated with a protective factor that reduces brain tumor risk,” Schwartzbaum said. The brain accounts for only about 2 percent of body weight, but consumes about 20 percent of the body’s available glucose, Schwartzbaum said. The body of research on restrictive diets and their effect on brain cancer development has shown mixed results and more work is needed to determine if there’s something about the sugar/tumor relationship that can be modified in a way that’s beneficial to brain cancer patients, she said. The research was supported by the National Cancer Institute. Schwartzbaum’s collaborators included co-lead author Michael Edlinger of the Medical University of Innsbruck in Austria and Grzegorz Rempala of Ohio State’s College of Public Health. Newswise, May 2, 2017—Only 16 percent of heart attack survivors get the recommended amount of physical activity in the weeks after hospitalization, according to a study by researchers at Columbia University Medical Center (CUMC) and NewYork-Presbyterian. The study was published online earlier this week in the Journal of the American College of Cardiology. Exercise has been proven to lower the risk of having another heart attack in patients with acute coronary syndrome (ACS), which includes heart attack and unstable angina (chest pain). Current guidelines strongly recommend that ACS patients get at least 30 minutes of moderate aerobic activity, such as brisk walking, at least five days per week in the first two weeks after hospital discharge. Previous studies, which relied on self-reporting, have been unable to provide a reliable estimate of how many patients achieve this goal. In this study, the researchers measured the amount and intensity of physical activity with a wearable activity monitor in 620 heart attack survivors. Participants were instructed to wear the device for 10 hours, or more, at least three days per week during the first month after hospitalization. “In prior decades, heart attack survivors were counseled to remain in bed for many weeks,” said Ian M. Kronish, MD, MPH, Florence Irving Assistant Professor of Medicine at CUMC, assistant professor of medicine in Columbia’s Center for Behavioral Cardiovascular Health, cardiologist at NewYork-Presbyterian/Columbia and lead author of the paper. Clinician-supervised exercise programs for heart attack survivors have been shown to counteract patients’ fears and encourage more physical activity. However, participation in these programs remains poor. “Researchers and clinicians need to find ways of getting more people to participate in such supervised exercise programs,” Dr. Kronish said. Additional authors included Keith M. Diaz (Columbia University Medical Center, New York, NY), Jeff Goldsmith (Columbia University Mailman School of Public Health), Nathalie Moise (CUMC), and Joseph E. Schwartz (Stony Brook University School of Medicine, Stony Brook, NY). Newswise, May 2, 2017--In the United States, someone has a stroke every 40 seconds. Strokes – 80 percent of which are caused by a blood clot that blocks blood flow to the brain – are medical emergencies that require immediate attention. The earlier a stroke is recognized and treated, the greater the chance of recovery. In recognition of Stroke Awareness Month, NewYork-Presbyterian is sharing information on stroke risk and prevention. Nearly two million brain cells die each minute a stroke goes untreated. Remembering the acronym BE FAST is an easy way to learn how to recognize a stroke and act quickly to minimize its long-term damaging effects. As part of its commitment to advancing stroke care, NewYork-Presbyterian now operates a Mobile Stroke Treatment Unit (MSTU). The MSTU is an emergency vehicle specially designed to provide immediate, specialized care to patients who may be having a stroke. The vehicle is equipped with stroke care specialists, a computed tomography (CT) scanner and medications for treating stroke patients on-site. Reduce salt intake. High blood pressure is one of the leading causes of stroke. Cutting back on salt is one of the most significant steps to maintaining or lowering blood pressure to a healthy level of 120/80 or below. Try flavoring your food with a variety of spices that may be healthier than salt. Eat a heart-healthy diet. Maintaining a healthy balance between your good cholesterol (HDL) and bad cholesterol (LDL) is the best way to prevent high cholesterol, heart disease and the increased risk of stroke. Cholesterol levels should remain at 200 mg/dl or below. Stop smoking. Smoking is bad not only for your lungs, but your brain as well. A smoker is at twice the risk of having a stroke because smoking damages blood vessels, raises blood pressure and speeds up the clogging of arteries. Exercise. If you are obese or overweight, your risk for high cholesterol, high blood pressure and diabetes increases and so does your risk for stroke. Extra weight places an added strain on your entire circulatory system, but aerobic exercise helps reduce stroke risk and can be a good way to lose those extra pounds and substantially improve your health. NewYork-Presbyterian Hospital treats one of the highest volumes of stroke and cerebrovascular disease patients in the world and the highest in New York City. The hospital is certified by the Joint Commission as a Comprehensive Stroke Center—the highest level of stroke certification a hospital can receive. In addition, NewYork-Presbyterian’s Stroke Centers have been awarded the Gold Plus award from American Heart Association and American Stroke Association for exceeding quality measures related to stroke treatment. Newswise, May 2, 2017--Simply adjusting the dose of an older adult's psychiatric medication could reduce their risk of falling, a new University of Michigan study suggests. The study found that a moderate increase in depressive symptoms among people over 65 was associated with a 30 percent increase in experiencing a fall over the next two years, said Geoffrey Hoffman, research fellow and assistant professor at the U-M School of Nursing. This association appeared, in part, to reflect greater use of psychiatric medications, he said. The study didn't formally measure the impact of medication use on falls, but when psychiatric medication was included in the experimental model, the relationship between falls and depressive symptoms became nonsignificant, he said. "We've pinpointed that we think the relationship between depression and falls involves medication use with important implications for patient safety and fall risk reduction," Hoffman said. "Many interventions to prevent falls are expensive and time-intensive, but this is a simple and inexpensive matter of encouraging continued use of psychiatric medication while improving monitoring of fall risk and adjusting medication appropriately." While Hoffman and colleagues found that depressive symptoms among older adults preceded falls, they didn't find the reverse—that a fall is followed by symptoms of depression over the next two years. This is positive in the sense that depression didn't seem to set in—at least in the time period researchers examined in this study. The team looked at the risk of falls between 2006 and 2010 among those 65 and older surveyed for the National Health and Retirement Study. 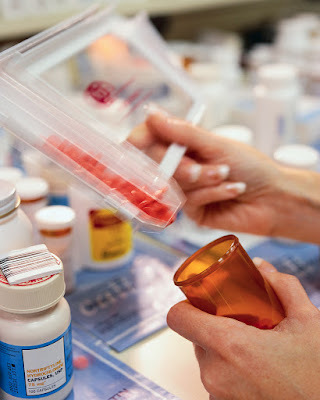 When they examined medication use, the strength of the relationship between depressive symptoms and falls decreased. The takeaway for older adults? Stay active and always be careful to reduce fall risks. Talk to a family member or a physician if you think you're depressed, and talk to a physician if you have questions about medications. For families and physicians? Watch for depressive symptoms, and trust that physicians are weighing the risks and benefits of psychiatric medication use. Physicians should pay special attention to properly choosing and dosing medication, and ask older patients about symptoms that indicate fall risks. For purposes of the study, those medications included tranquilizers, antidepressants, and pills for nerves. Hoffman also said that specialty geriatric societies should highlight depression and medication use in fall risk assessment protocols and encourage physicians treating older adults to be sensitive to fall risks. Falls among the elderly cost about $30 billion a year, and up to half of nursing home admissions follow a fall. About one-third of Americans 65 or older fall annually and about 10 percent of all elderly people are injured during falls. The study, "Depressive symptomatology and fall risk among community-dwelling older adults," appeared in the journal Social Science and Medicine.